“Vice” topped all contenders Thursday, in nominations announced at the Beverly Hilton Hotel in Beverly Hills, California, including best picture, comedy and best actor nominations for Christian Bale’s nearly unrecognizable performance as the former vice president. It also earned nominations for Amy Adams’ supporting role as Lynne Cheney, Sam Rockwell’s George W. Bush and both the screenplay and direction by McKay, the veteran comedy filmmaker who once skewered politicians as a “Saturday Night Live” writer. For even the often-quirky selections of the Hollywood Foreign Press Association, a collection of 88 mostly less-known freelance film journalists, the strong support for “Vice” (which arrives in theaters on Dec. 25) was a surprise. Even its categorization of the film — a highly critical portrait of Cheney as a power-hungry, behind-the-scenes tyrant — as a comedy raised some eyebrows, just as Globes recent comedy selections “Get Out” and “The Martian” did. And it also made room for some old favorites: Robert Redford, in what he has said may (or may not) be his final acting performance, received his 10th Globe nomination for “The Old Man & the Gun.” He was given the group’s Cecil B. DeMille achievement award in 1994. The ratings for last January’s broadcast, hosted by Seth Meyers and graced with an impassioned speech by Oprah Winfrey, dipped 5 percent with approximately 19 million viewers. As the first major award show following the Harvey Weinstein revelations and subsequent launch of the #MeToo movement, the usually more frivolous ceremony had an atypical edge of seriousness. In a demonstration organized by the then-just-founded Time’s Up, many women wore black on the red carpet. 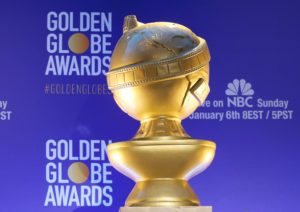 Explore the full list of Golden Globe nominees.